Responsive Web Design (RWD) is the most common, industry-standard term for designing websites so they work well on mobile devices (cell phones) and desktop computers and anything in between. The website will scale to the size of the browser window on which the site is being viewed. Utilizing CSS3 media queries (@media) is the most common method of making a site responsive (scalable). A common design concept is called “mobile first” meaning you should design your site first for mobile devices then alter the design for desktop browser sizes. The assumption with mobile first being that due to the increasing number of people who will be viewing the site on a phone and possibly only on a phone, it’s best to take that into account first. In principle this makes sense, however, a better practice is to design with fluidity or flexibility in mind regardless of whether you’re designing mobile first or desktop first. You should always plan for how it will look on various screen sizes and include this planning in your wireframes/mockups. Regardless of the standard break-points, you should always put in break-points to suit your content. If your content is flexible throughout, you may not need any. If your content looks awkward when the screen is around 700px, then an additional break-point may need to be added there. Set your break-points and style to what works for your content, not necessarily what might be the most common size ranges. The container max-width on your site should be equal to the desktop size range (break-point) min-width value in that media query. In other words, if your container has a maximum width of 960px, then the break-point is @media (min-width: 960px). When the container has a maximum width in pixels, it makes no sense to make the desktop break-point smaller or larger than it. If it’s smaller than the container, then the container won’t fit and your site will have a horizontal scrollbar. If it’s larger than the container, then the container will have already locked out at the smaller size. It could be relevant if there was some other change — like font-size — occurring in a larger media query range, however, since most media queries adjust structural elements, then a desktop media query with a min-width larger than the container’s max-width is not likely to make a difference. For all img tags in the HTML, remove the width and height attributes in the HTML. Those attributes override the CSS and your images can’t be made to scale if those attributes are in there and set to pixel sizes. 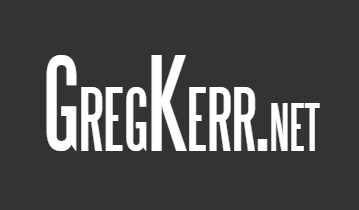 This entry was posted in Website Design by Greg Kerr. Bookmark the permalink.